DATE: 2ND OF MARCH 2006. ROYAL PACIFIC PROMOTIONS ORGANIZATION PRIZE/AWARD Diethelm Tower B, 82/1 Wireless Road 10220 BANGKOK THAILAND. This is to inform you of the release of ASIAN PACIFIC INTERNATIONAL PROMOTIONS ORGANIZATION PRIZE DRAW, held on the 5th of April 2005, but owing to some mix up of numbers and addresses and the holidays, the results were released on the 21st of December 2005. 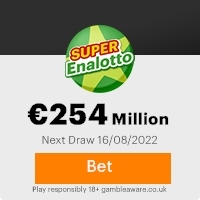 Your name was attached to ticket number 085-12876077-09 with serial number 51390-0 that drew the lucky numbers of 03-05-12-14-28-38, which consequently won the lottery in the 5th category. You have therefore been approved for a lump sum pay of 1.000,000.00. (ONE MILLION UNITED STATE DOLLARS ONLY), in cash credited to file with REF: N.EGS/3662367114/13. This is from a total cash prize of 25,020.225.00, shared among the twenty-five international winners in this category. Your fund is now deposited with our Bank/Security Company Bangkok Thailand and insured in your name. Due to mix up of some numbers and names, we ask that you keepthis award from public notice until your claim has been processed, and the money remitted to your account, as this is part of our security protocol, to avoid double claiming and unwarranted taking of advantage of this program by participants, as has happened in the past. Remember, all prize money must be claimed not later than 30th of March 2006. Any claim not made by this date will be returned to HER MAJESTYS DEPARTMENT OF THE TREASURY. And also be informed that 10% of your lottery winning belongs to (THE PROMOTIONS COMPANY). Because they are the company that bought your ticket and played the lottery in your name. NOTE: In order to avoid unnecessary delays and complications, please remember to quote your reference and batch numbers in all correspondences with us, Furthermore, should there be any change of address, please do inform our Co-ordinator as soon possible. Vice President Royal Pacific Promotion Bangkok Thailand. Previous: ( AWARD NOTIFICATION. )Fresh ScamsNext: Final Award Notifica ... !!!!! This Email with the Subject "ROYAL PACIFIC PROMOTIONS NOTIFICATION" was received in one of Scamdex's honeypot email accounts on Thu, 02 Mar 2006 03:32:13 -0800 and has been classified as a Generic Scam Email. The sender shows as "ongtom123" <ongtom123@sanook.com>, although that address was probably spoofed. We recommend that you do not attempt to contact any persons or organizations referenced in this email, as you may expose yourself to scammers and, at the very least, you will be added to their email address lists for spam purposes.